A compelling dark vampire saga of love, secrets, lies, and betrayal. Centuries ago ten powerful vampire gods first walked the earth; their blood thirst knew no boundaries. The destruction of mankind was inevitable. Recognizing their weakness, they selected twelve wise human beings to transform with their godly blood. These twelve, known as The Old Ones and The Council, govern The Ten. A blood lottery appeasing The Ten's hunger was set forth into the human world and passed down every fifth generation, continuing into the present day. All of Beth Ryan's life a mysterious mist watched over her, a mist she believed to be a vampire. On a cold winter night, she comes face to face with Philippe Delon, a 700 year old vampire with a human soul. Beth is certain Philippe is the vampire behind the mist. She is drawn to him, accepting his immortality without question or fear. Beth and Philippe cannot deny their love for each other, nor do they try to fight it. Within days of their encounter, Beth accepts Philippe's invitation to move into his mansion. The mansion unlocks the door to the vampire world and exposes secrets from Beth's past. Within its walls, she learns the true identity of the mist, her link to the blood lottery, and betrayal of her loved ones. Surrounded by lies, Beth stands before The Council begging for resolution. I liked this foray into the dark world of vampires. The author added some new twists to the vampire genre which made the story more interesting. I thought the blood lottery was an interesting aspect to vampire lore and it added a layer of tension and drama to the overall feel of the novel. Initially I found it difficult to connect to Beth and Philippe as their interactions just didn't seem realistic. There wasn't any build up to their falling in love and I felt that it all moved a bit fast. However, the pair grew on me as the story progressed. Things get complicated for Beth when the true figure behind the mist, Amon, makes his presence known. He is very clear as to what his intentions towards her are but there is the added complication of her marriage to Philippe. There wasn't much of a backstory to Philippe and so I didn't have a whole lot of sympathy for him when his relationship with Beth was threatened. I enjoyed Amon's character and I liked him a little bit more than Philippe. The Council is tasked with deciding the fate of Beth, Philippe and Amon, who will also have to contend with plotting and scheming from within The Ten, the original vampires, some of whom are against Amon's attachment to Beth. The Ten are an intriguing bunch of characters and I would be greatly interested in reading more about them. I'd love to know what happens next with the trio. Things were getting very interesting and exciting as 'Immortal Kiss' was coming to an end and so I will definitely be looking out for 'Bound by Blood' to read more of their story. 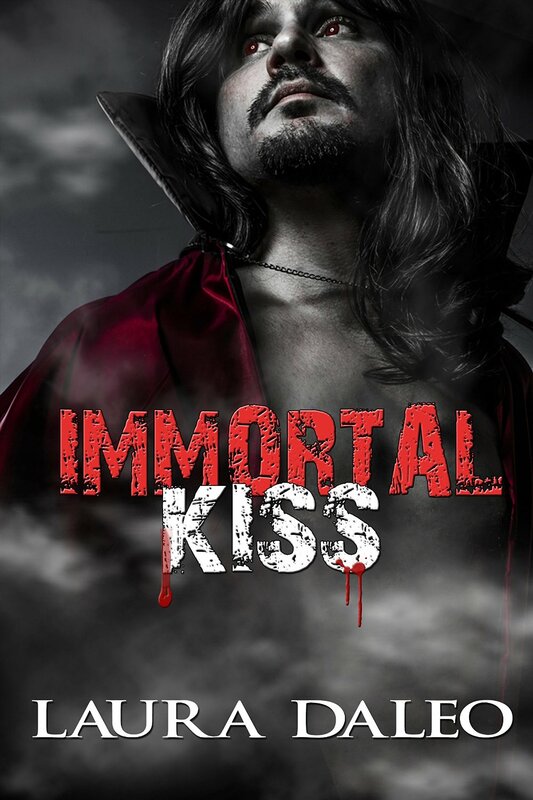 I was gifted a copy of 'Immortal Kiss' by the author in exchange for an honest review. Laura Daleo was born and raised in San Diego, California where she majored in Fine Arts at Mesa College. 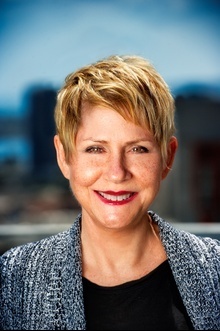 Laura has held positions in several industries, Restaurant, Telecom, Biotech, and Research. She enjoys anything paranormal or urban fantasy related, and writes in both genres for adults. A creative writing class in junior high sparked her desire to tell stories. Throughout Laura’s professional career, she crafted her writing skills by taking courses and by joining a writer’s critique group and Writers Digest. Through hard work and many late nights, her first novel Immortal Kiss was born. A passion inside me to tell stories. Paranormal and Urban Fantasy. I love creating vampire or supernatural characters and dropping them into a modern day setting. What was the first book you ever wrote, no matter how young you were? In seventh grade, I wrote “The Murder”. What is your favourite out of all of your books, published or not? And what makes this your favourite? A certain scene, character, plot? The main character struggles to understand what’s happening to him and his determination to find the answer. What is your daily routine when it comes to your writing? Unfortunately, Monday – Friday, I’m at my day job so I fit writing in a little bit here and there. The majority of my writing is on the weekends. What is something that you struggle with when it comes to writing? It’s so much easier to tell a story rather than show a story, but we’ve all heard the phrase show don’t tell. Sometimes I do struggle with showing. Creating characters and entering their worlds. I have a very active imagination. Ideas are constantly popping into my head. I can’t turn it off. Who is your author inspiration and why? Anne Rice. In my opinion, she is the “Queen” of vampire story telling. No one has even come close to her vampire Lestat character. I want to be the next Anne Rice. Interview with a Vampire. It was such a different take on the vampire legend and it started off with a great hook that kept me turning pages until the end. I hope to be a bestselling author, with a large fan base anxiously awaiting each release. Currently working on the sequel to Immortal Kiss, Bound By Blood. These are unpublished works that I have in my queue to revive and modernize: The Vampire Within (2004), A City of Vampires (2007), The Soul Collector (2010). Future works for creation are: The Ten, The Old Ones, and Vampire Amon. I’m also an animal advocate. I have 4 basset hounds and 1 bird at home. They are my furry kids. You're welcome Laura, thanks for stopping by!